It is important to be intentional about program design, curriculum development, and assessment when instituting competencies. However, the fourth component of the Student Leadership Competencies program is recognition, which involves setting up systems and programs that acknowledge students for their competency development. In addition to motivating students to participate in competency-related experiences to earn recognition, providing recognition can help give students evidence to demonstrate their learning and development to employers, selection committees, and other external entities. The following are resources and ideas to help you in recognizing leadership competency development. Please refer to the Terms and Conditions page before purchasing access to the Toolkit. Digital badges are highly popular these days and are used by organizations, companies, and institutions to recognize achievements. Individuals complete associated requirements and then are awarded a digital badge. 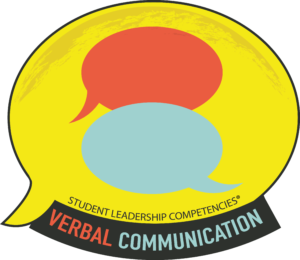 The Student Leadership Competencies Badges provide a way to recognize and showcase the development of a particular leadership competency. Unlike a certificate that simply documents an experience that a student completed, a badge is a specific credential that showcases what the student learned. Think of it similarly to that of a sash from the Scouts in which you could earn various badges to sew onto your sash. Digital badges are awarded in a similar fashion but instead of physically being collected, they are kept in an online portal for students to showcase on ePortfolios, through social media, and even on their resumes. Having digital badges provides a one-stop shop for badges to be shared in multiple ways simultaneously. The Student Leadership Competencies Implementation Handbook, available in the Toolkit, provides step-by-step instructions on using badges, handouts for students, and a sample passport you can use to track badge requirements. To find out more about how you can offer Student Leadership Competencies badges, see our Badges page. Another way to recognize student leadership competency development is by offering awards that recognize student learning. See the Student Leadership Competencies Implementation Handbook, available in the Toolkit, for detailed ideas on competency awards. Many campuses have instituted the co-curricular transcript (CCT) in which students can document their collegiate leadership and involvement experiences and have them verified by the institution. Whether you are using a campus-designed platform or a hosted CCT platform, integrating the leadership competencies can help students articulate their learning in intentional ways. The Student Leadership Competencies Implementation Handbook, available in the Toolkit, provides strategies for infusing competencies into the CCT. The ePortfolio is another great way for students to showcase their competency learning and development as well as their proficiency. Similar to the CCT, ePortfolios can be hosted internally with an institution built system or on an external platform. If you already have an ePortfolio program, integrating competencies can be a seamless process. See the Student Leadership Competencies Implementation Handbook, available in the Toolkit, for ideas.